A hat tip and my thanks to Deb H for this contribution to the LIHS Blogger. For some reason, now I have an urge to lose some weight. A hat tip and my thanks to Deb for the link. I don't have any information as to meeting topics or speakers but will post it when I get it. The meetings are held at the Conference Center at SUNY Farmingdale, usually beginning at 1PM and ending by 4 (almost always end somewhat earlier). For directions click on the link: http://www.lihs.org/files/meetingplace.htm. Hope to see you at some of the meetings. I hope everyone of the LIHS membership had a great summer so far and will enjoy what we have left of it. My guess would be that at least some of you got some nice herp photos over the summer. I would be very happy to publish some of them here on LIHS Blogger if you want to share them with the LIHS membership and the blogosphere. Of course, I'll take any herps photos that you took and want to share, they don't necessarily have to have been taken over the summer. 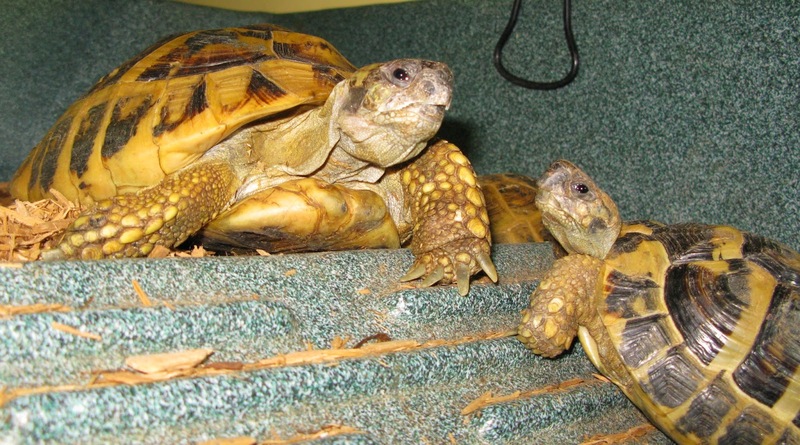 For instance my tortoise eyed view of my Hermann's tortoises - taken just a couple of minutes ago. and just a small bit of a Russian between them. It seems that turtles have been talking to one another, actually communicating with one another. That goes for at least one species of river turtle (species name not given - what an omission by the reporter) in South America. Scientists believe they are communicating with their offspring and actually showing a low level of parental care. An interesting article about this can be found at this link which was supplied by Deb H (hat tip for and my thanks to her): http://www.bbc.com/news/science-environment-28807901#?utm_source=twitterfeed&utm_medium=twitter. So it seems that Dr. Doolittle may have known something with all his talking to the animals. It was 15 feet long and weighed in at 1,011.5 pounds. In fact, it has been reported as the largest alligator ever taken in the state of Alabama. I keep using the past tense because it was taken by hunters, during Alabama's alligator hunting season, and now is pretty much a memory (probably lots of photos, maybe several dinners and a few suitcases and who knows - maybe it will be mounted). I have fished and hunted (collecting trips) for herps in swamps down south. While I have been mindful that I may encounter an alligator (or even a crocodile in some locations in Florida), and have encountered several - even some large ones, I have never really been concerned about running into a monster sized one like that. While I have always exercised a respectful amount of caution, I guess that the next time I am in the Everglades or maybe the Dismal Swamp, I will be a lot more cautious. Wow, that was a big one and I sure would hate to be the guy in the headlines if one like that grabbed hold of me cause chances would be it would be the last story ever about me. Deb H sent in a link to this interesting article about the Argentine Black & White Tegu which is yet another invasive lizard species in Florida. It makes an interesting read and reminds us of how we, as herp keepers, need to be responsible with the animals we keep. I agree with a lot of what they say but have to point out that I highly doubt their assertion that reptile breeders let loose tegus with the hopes they would breed in the wild and then could be caught to sell in the pet trade. Their reasoning that this would be less expensive than breeding them seems pretty far fetched as a lizard in the enclosure is worth about 5 in the bush. You would have to be either or both a reckless gambler thinking you would ever catch as many as you could have bred or a moron to think releasing them would create a steady flow of wild caught animals on which your business could depend. Thanks to Deb H for that one. The link to the article was supplied by Deb H, who as usual gets a hat tip and my thanks. 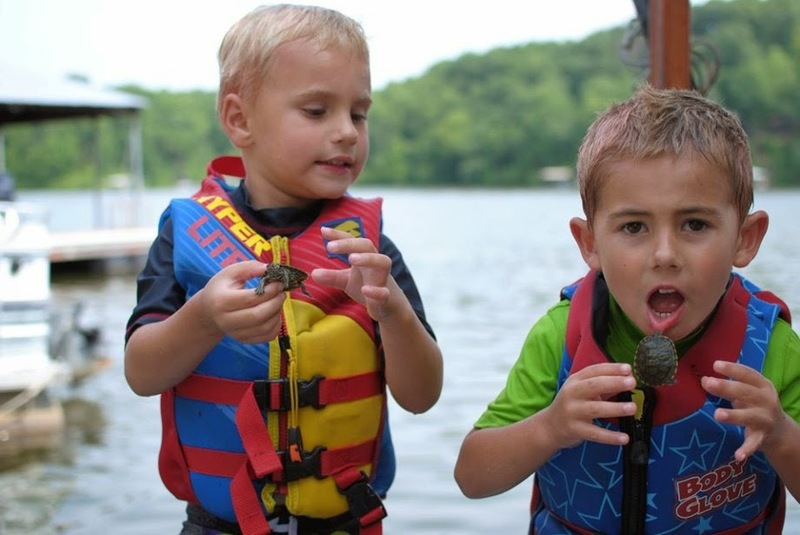 ...into their mouths or is it that turtles get salmonella from putting kids into theirs?